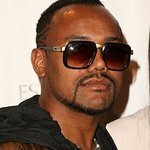 apl.de.ap is a member of the Black Eyed Peas. He held a charity club tour in December, 2010 – The Party Light. Party Right. Club Tour 2010 – to raise support for local charities and foundations in the Philippines. Proceeds from the tour, held in Cebu, Manila, and Pampanga, went to the Pearl S. Buck Foundation, the Rotary Club of Rizal West, and the Philippine General Hospital.